The ‘news’ that is transferred to masses in the West through controlled media is so disconnected from reality that it is shameful. Fortunately the spreading of real news by decent people through the internet and other alternative media is shaking the foundations of oppression (which are ignorance, apathy, racism). Thus, an anonymous ‘US official’ is quoted as threatening Turkey if it does not start towing the line in opposition to Iran and support of apartheid Israel. And the Israeli government statements about the removal of a wall in Gilo are printed as if they are facts (the wall was actually erected to keep residents of an illegal colony of Gilo afraid and supportive of apartheid rather than to protect them and since polls show that Israelis have developed fear of gentiles to paranoia levels, it is no longer needed). And the Quartet (US, UN, EU, Russia) is unwilling to challenge the fascist government of Israel so it pressured Abbas to go to direct negotiations (already 19 years of that produced only expanded colonies and shrinking Palestinian lands). But the Zionist controlled media does not dare publish reality: what is happening on the ground to people. The popular resistance is all but ignored by the self delusional right wing Zionists and their managed media outlets. If we allow exceptionalism in any way, we are all doomed. Now in the “democratic” US, there are challenges to building an Islamic center in New York City, in “democratic” Europe there are countries were you can examine and challenge any historical event except the Zionist version of WWII history, and in Apartheid Israel calling for BDS may soon be declared a crime punishable by law. The International investigations on war crimes are ignored (e.g. Goldstone report) or scuttled (e.g. Israel’s attack on the Freedom Flotilla). But more and more people are realizing that this project of “chosen people”, “democracy is only how we chosen define it”, “above the law” notions, and “us here them there” must fail and is failing whether it comes from ideologies of Nazism or Zionism (and the two collaborated closely for 11 years) whether from the mouth of Osama Bin Laden or Shimon Peres or Benjamin Netanyahu. territories . What if all of us stop talking about two states in Palestine and instead reveal the reality that Israel is a racist apartheid state (see for example this brilliant article by George Bisharat and Nimer Sultany in the Miami Herald. What if we set aside factional and personal interests and put the people interest first? We can start by demanding unity and by that there would be no direct or indirect negotiations until Palestinians are strengthened (via struggles and sacrifices) to negotiate as equals not as prisoners and prison guards. We can demand simple human rights including the right of return and full equality instead of ghettos and Bantustans with a flag and elites who are rich. just have faith in Egyptians and Palestinians and Jordanians and Israelis; i.e if we have faith in ourselves. 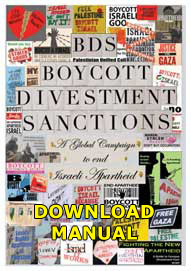 We all must continue to push with all our energies towards utilizing the tools available to us for educating others (personal interactions, internet and other modern communication tools) and with all our energies on boycotts, divestments and sanctions (BDS). On the latter front, the successes continue to pile-up as Harvard University fund just sold all its Israel holdings . I am reminded of the old science fiction movies like “Invasion of the Body Snatchers.” But the choice for us individuals is to be like robotic groaning Zombies or active and alive human beings challenging injustice. Please call your Congressperson to oppose H.Res. 1553 – A House Resolution introduced on July 22, 2010 which gives support for possible Israeli military strike on Iran. The Resolution has been referred to the House Committee on Foreign Affairs. Mazin Qumsiyeh teaches and does research at Bethlehem and Birzeit Universities in occupied Palestine. He previously served on the faculties of the University of Tennessee, Duke and Yale Universities. 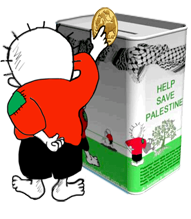 He served on the board/steering/executive committees of a number of groups including Peace Action Education Fund, the US Campaign to End the Occupation, the Palestinian American Congress, Association for One Democratic State in Israel/Palestine, and BoycottIsraeliGoods.org. He is now president of the Palestinian Center for Rapprochement Between People. He advised many other groups including Sommerville Divestment Project, Olympia-Rafah Sister City Project, Palestine Freedom Project, Sabeel North America, and National Council of Churches of Christ USA. He is an active member of a number of human rights groups (Amnesty, Peace action, Human Rights Watch, ACLU etc.). 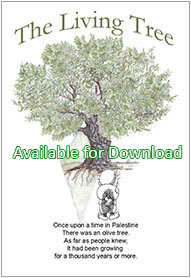 He published several books of which the most acclaimed “Sharing the Land of Canaan: human rights and the Israeli/Palestinian Struggle” which was also translated to Spanish.